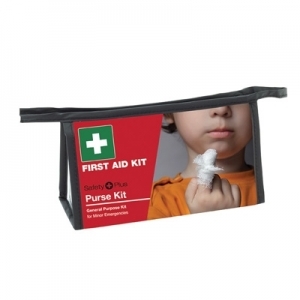 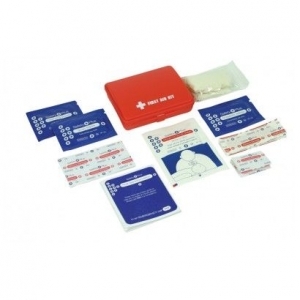 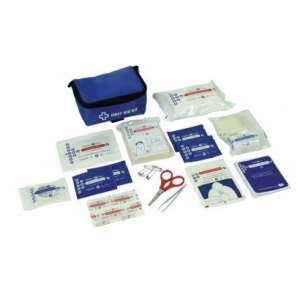 This First Aid Kit provides essential first aid supplies for all activities. 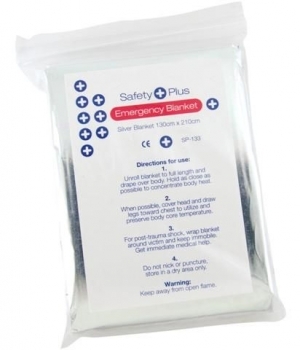 Silver emergency blanket, with instructions for use. 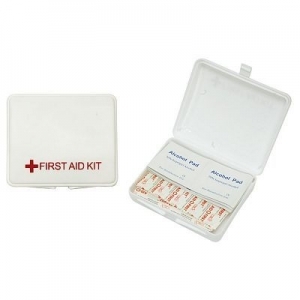 A compact kit containing an assortment of 30 bandages and 10 alcohol pads. 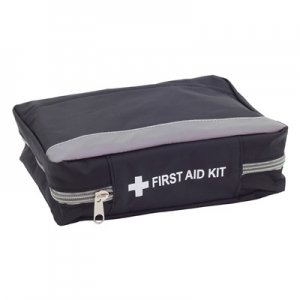 Heavy duty bag, with external pocket and reflective strip, inside has 4 separate compartments. 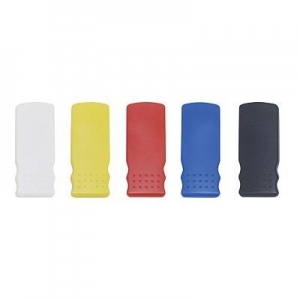 A pocket sized bandage dispenser complete with 5 latex free bandages. 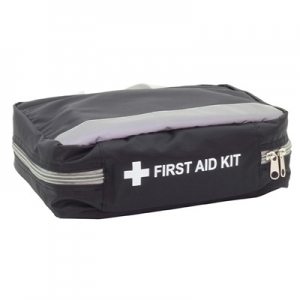 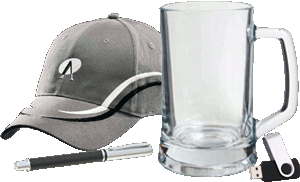 A compact kit with reflective strips for use in and around your vehicle, home or office. 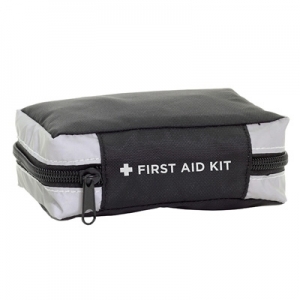 This kit is great for Purse, Stroller, Vehicle, Backpack, and more.